Hair fall is a very common disorder found in people of all ages. The causes could be varied, and the best way to remedy this is to remove or treat the causes. 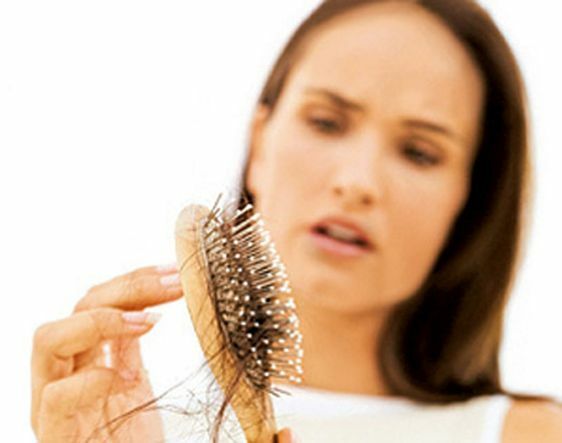 Normally diet, lifestyle, temperament, diseases and environment are the causes of hair fall. 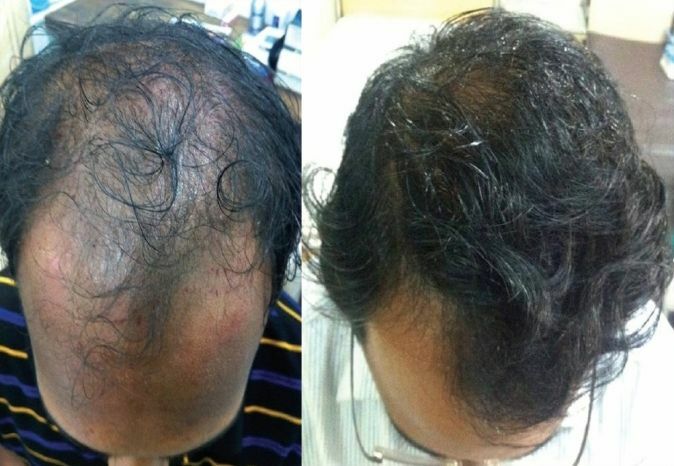 We at Khoobsurat adopt a two pronged strategy to treat hair loss: prevent hair loss and promote hair growth. Dandruff is a common problem caused by fungus infections, bacteria, irritated oily, and dry skins of the scalp. 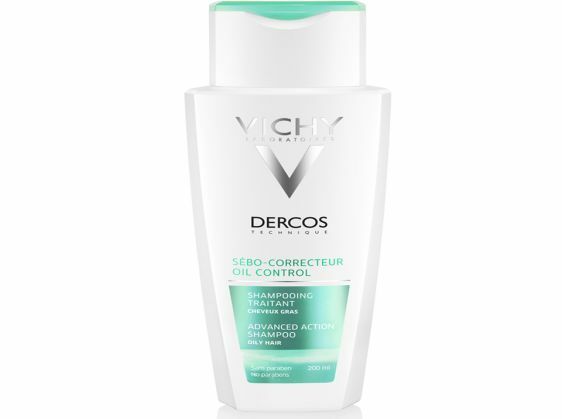 Formation of dry skin flakes and itchiness of the scalp are the common symptoms of dandruff. Dandruff formation takes place in people having oily skin. 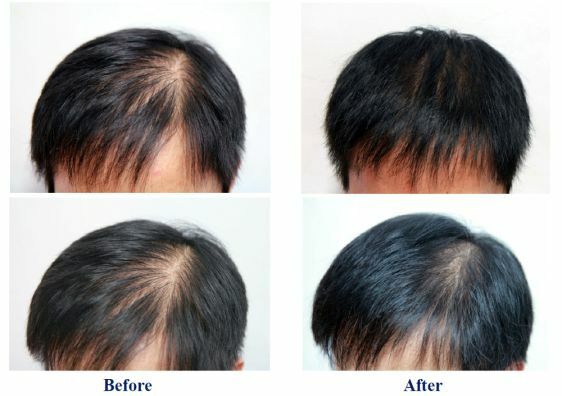 Hair growth treatment is based on stem cell therapy. This therapy involves replenishment of dead or lost stem cells and is done by highly skilled therapists at Khoobsurat. Stem cell therapy is long lasting and highly effective. 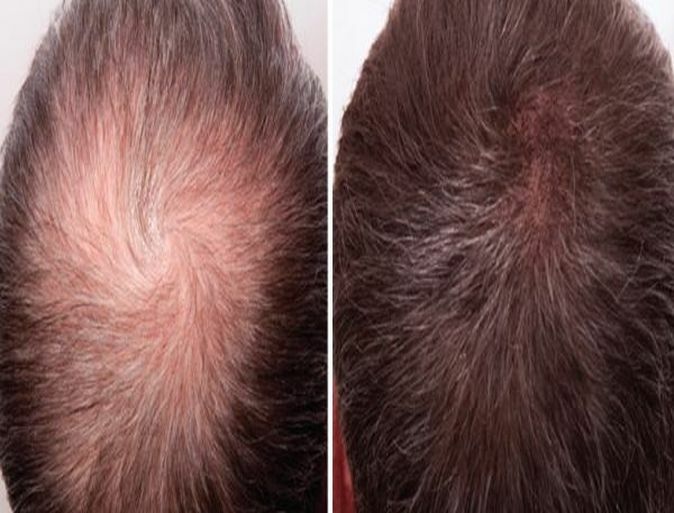 At Khoobsurat, we do PRP (platelet rich plasma) treatment for hair growth as a proactive therapeutic option for patients suffering from hair loss. 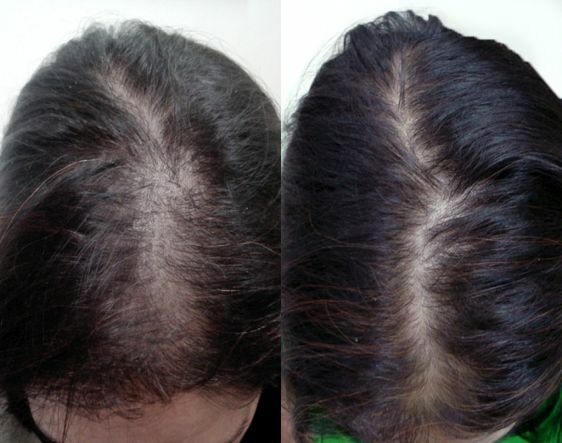 This is a non-surgical process and carried out on candidates who need stimulation as an option of hair growth. This non-surgical procedure lasts for about one hour and is totally safe and reliable. Recovery period is fast and the end results are truly remarkable. Mesotherapy is derived from the word ‘mesoderm’ or middle layer of the skin. 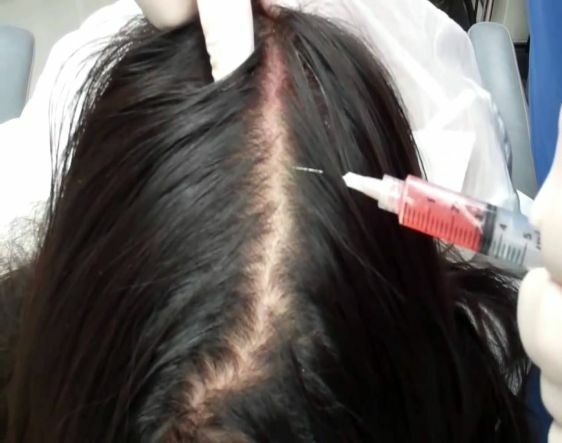 This therapy for hair loss involves injecting a solution of vitamins, minerals, co-enzymes, nucleic acids and amino acids into the middle layer of the scalp for stimulating hair growth. The composition of this solution varies from one patient to another depending on individual needs. Hair extensions are not only a fashion statement but at times a necessity. Whatever the reason, Khoobsurat does hair extensions with immense care. 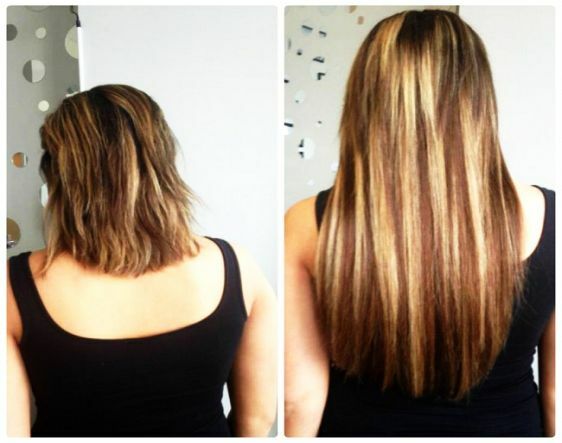 Hair extension is an artificial way of adding volume and length to your existing tresses. This enhancement of hair should always be done by trained professionals as in Khoobsurat, as an untrained job would appear amateurish and disappointing. Keratin treatment is a hair straightening procedure meant for curly or wavy hair. 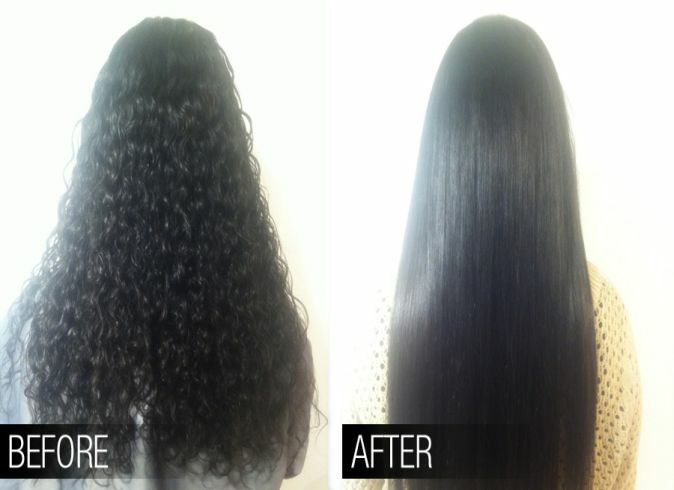 With this treatment your hair is not only straightened, but made shiny and healthier. Though keratin treatment has its share of disadvantages it is a popular method among women. Keratin naturally present in hair helps in keeping hair shiny and straight. Unhealthy diet and lifestyle reduces the level of keratin and makes hair look dry and lifeless. Stem cell therapy is a non-surgical process for stimulating hair growth. The process involves stimulating and re-growing of hair follicles using stem cells present in the middle of existing hair follicles. When stem cells are inserted into pores of the scalp, molecular signals are sent to follicle cells resulting in hair growth. Stem cells bring back life into hair follicles that have turned lifeless. Permanent hair reduction is done using laser beams. These target hair roots that grow underneath the skin’s surface and have an almost permanent impact after a series of therapies. 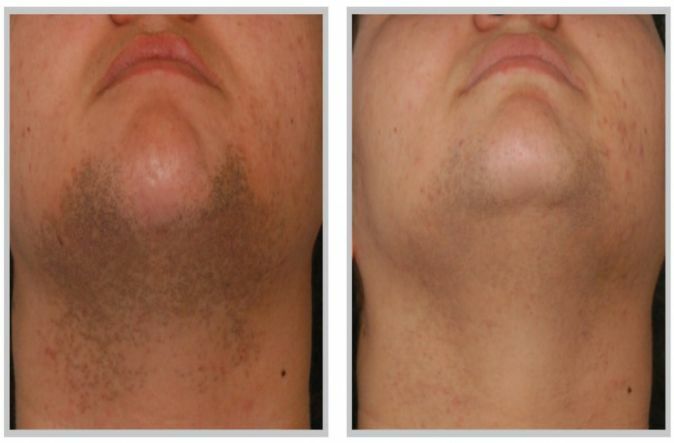 Laser beams could be used in removing unwanted hair from arm, underarm, legs, bikini line, and even face. Khoobsurats Sebo control therapy is meant for treating oily scalp which is the principal cause of dandruff. Sebo control therapy regulates sebum secretion thereby relaxing your epidermis or the outermost layer of skin. In the process it also hydrates and regenerates the entire region.